during the 1967 Detroit riots in which a group of rogue police officers respond to a complaint with retribution rather than justice on their minds. Compared to ex-husband James Cameron, Kathryn Bigelow turns out films at a fast clip. However, in real-world terms, she produces movies at a less than rapid rate. This means 2017’s Detroit becomes only her third release over the last decade. It follows 2008’s Best Picture-winning Hurt Locker and 2012’s successful Zero Dark Thirty. In July 1967, cops raid a party at an unauthorized nightclub. This apparently needless action inspires civil unrest that eventually leads to massive riots in racially divided Detroit. Amidst this violence, matters coalesce at the Algiers Hotel. During a party, rowdy guest Carl Cooper (Jason Mitchell) decides to fire blanks in the direction of law enforcement. This brings a swarm of National Guardsmen and cops upon the hotel, and matters grow more tense from there. In particular, shady police officer Philip Krauss (Will Poulter) decides to solve this “crime” and uses potentially violent methods to wage his campaign of retribution. When Hurt Locker won Best Picture, it did so as one of the lowest-grossing Oscar-winners ever. Actually, if adjusted for inflation, the film’s $17 million US might make it number one all-time on that ignominious list. 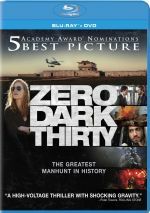 Bigelow found a bigger audience with the reasonably strong $95 million of Zero Dark Thirty, but Detroit went back to the Hurt Locker template. With a gross of only $16 million US, audiences avoided it despite positive reviews. Detroit came out in early August 2017, a move that smacks of “counter-programming”: give audiences something more “adult” to contrast with the summer blockbusters and hope to rake in the bucks. This failed, and I imagine subject matter influenced the film’s lack of commercial success. Let’s face it: Detroit may take place 50 years ago, but the topic of racially-based police conflicts feels all too current for Americans. The film hit screens around the same time as the violence in Charlottesville, and the current political climate abets these tensions. Most people go to movies to escape, so the film’s story likely turned off a lot of prospective viewers due to its all-too-real overtones. I can’t claim I think it’s a tragedy that moviegoers avoided Detroit, as I find myself less than enchanted by it. While the film tells a powerful story and boasts some good moments, like Bigelow’s other efforts, it feels less than satisfying as a whole. My biggest issue comes from Bigelow’s treatment of the material, as I think she tends to “dumb down” a lot of nuance and subtext. As seen in her two prior movies, Bigelow paints in broad strokes and she doesn’t leave a lot of room for complexity or depth. This trait befalls Detroit as well, and this means the movie bludgeons us with its attitudes. Rather than delve into concerns on both sides of the conflict, it largely turns the story into a one-dimensional horror film with Krauss as the bogeyman. Does this mean I believe bad cops like Krauss didn’t – and don’t – exist? Of course not – there are plenty of horrible people in the world, and I don’t doubt that events like those depicted in the movie occurred. It’s Bigelow’s lack of subtlety that once again becomes the issue, as she gives the story no real depth. As noted, she turns the material into standard thriller/scary movie fare, as we’re stuck with a madman who terrorizes innocents. The film’s length doesn’t help. Superficial as the treatment may be, Detroit might at least manifest the intended tension with a shorter running time, but at almost two and a half hours, it loses steam as it goes. This means that whatever drama and anxiety the events muster starts to dissipate, as it just feels like the tale becomes redundant. There’s only so much of these fascist cops that we can take before the impact lessens. Detroit does boast some good performances, and I appreciate the message. As mentioned, the current climate seems ripe for a story of this sort, and the movie reminds us that police brutality has been a menace for eons. I just would’ve liked something with more depth. Detroit takes an important story and makes it too simplistic. 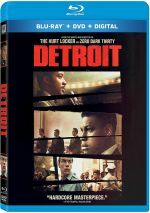 Detroit appears in an aspect ratio of approximately 1.85:1 on this Blu-ray Disc. A film with a gritty look, the presentation seemed satisfying. Sharpness largely worked well, as the only notable “softness” came from stylistic choices from the “on the fly” documentary-style photography. A few interiors also seemed a little tentative, but most of the flick offered nice clarity and delineation. The image displayed no signs of jagged edges or shimmering, and it also lacked edge haloes. Outside of some marks found in archival footage, the movie showed no print flaws. The film’s palette opted for a heavy orange and teal orientation. These hues came across appropriately given the design choices. Blacks looked dark and deep, while shadows worked fairly well. Some low-light shots could be a bit dense, but they usually offered nice clarity. Overall, the image suited the story. In addition, the movie’s DTS-HD MA 5.1 soundtrack added to the proceedings, as the material spread out across the speakers in an involving manner. Of course, the mix of violent scenes – riots, gunfire, helicopters – brought out the most active information, but quieter scenes worked well, too, as these presented a fine sense of environment. Audio quality also seemed pleasing, with warm, natural speech. Music appeared full and rich, while effects provided accurate, dynamic information. The mix brought drama to the story and fared well. The Blu-ray sports a mix of brief featurettes. We find “The Truth of Detroit” (2:08), “The Cast of Detroit” (2:11), “The Invasion of Detroit” (2:06), “The Hope of Detroit” (1:14) and “Then and Now” (1:33). Across these, we hear from real-life film subjects Melvin Dismukes and Julie Hysell, former Detroit Chief of Police Ike McKinnon, investigative journalist David Zeman, director Kathryn Bigelow, Congressman John Conyers, writer Mark Boal, former Detroit City Council member Sheila Cockrell, Detroit Chief of Police James Craig, and actors John Boyega, Jacob Latimore, Malcolm David Kelley, Peyton Alex Smith, Nathan Davis Jr., Joseph David-Jones, Algee Smith, and Anthony Mackie. The clips look at the true story behind the movie’s tale as well as cast and performances. We get a handful of good moments – mainly when we see the real-life people – but the featurettes remain largely promotional. Next comes a music video for “Grow” by Larry Reed and Algee Smith. This features actor Smith with Reed, the actual person he plays in the movie. It’s good to see Reed but the clip itself doesn’t offer much. A Gallery also pops up here. It presents a whopping 12 images from the film and becomes wholly forgettable. The disc opens with ads for Hidden Figures and Step. We also get the trailer for Detroit. A second disc provides a DVD copy of Detroit. It includes the same extras as the Blu-ray. Taken from historical events, Detroit delivers a tale with great inherent power. Unfortunately, it treats this material in a superficial manner that makes it too much of a one-dimensional thriller. The Blu-ray boasts very good picture and audio but it fails to include significant supplements. While parts of the movie fare well, the overall impression seems lackluster.